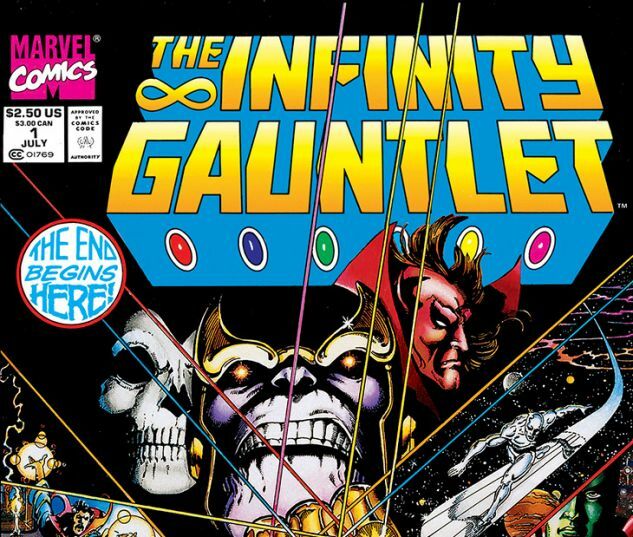 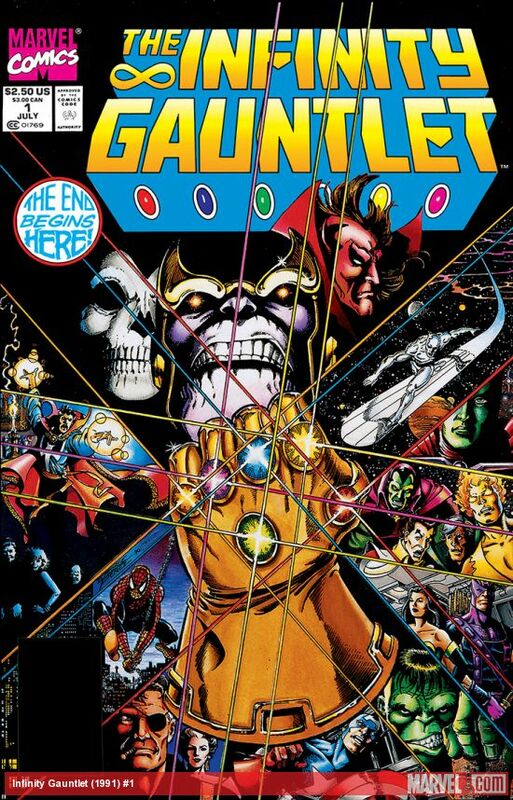 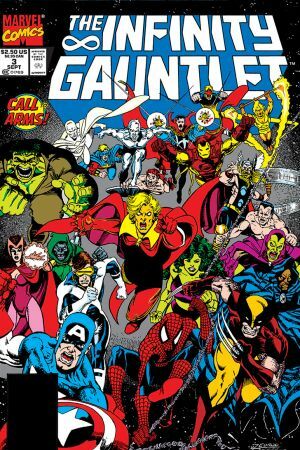 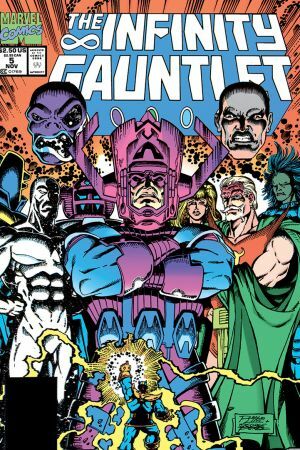 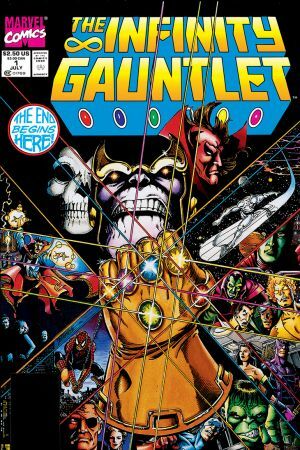 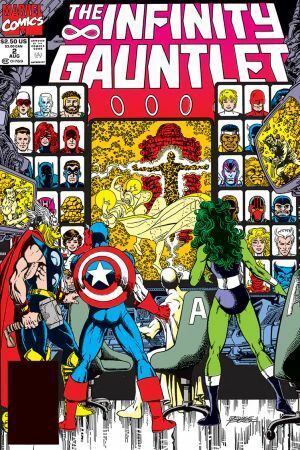 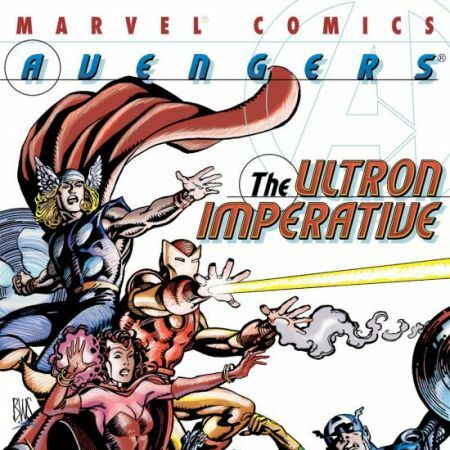 Seeking to impress the Mistress Death, who returned him to life, Thanos has gained control over the Infinity Gauntlet -- making him an all-powerful god! 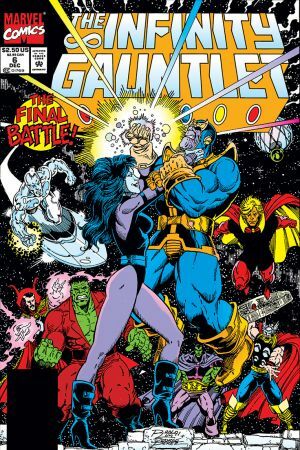 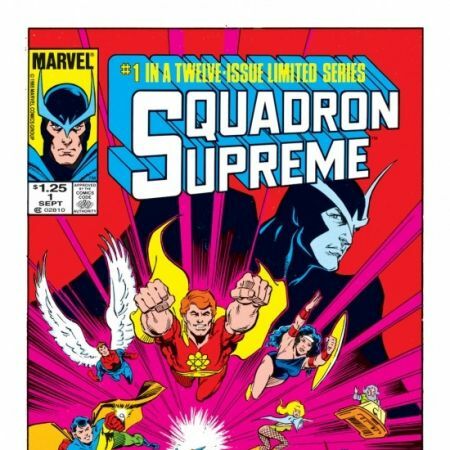 With Mephisto as his familiar, Thanos wipes out half of the life in the universe with a snap of his fingers! 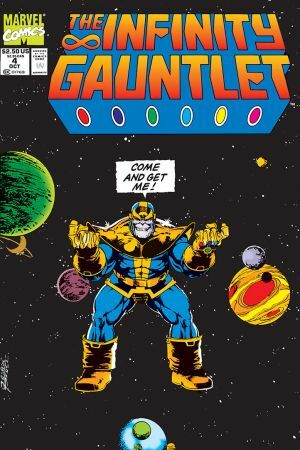 What will Earth do when half its the heroes are killed?